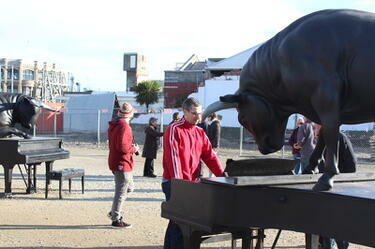 A photograph of a member of the public interacting with artist Michael Parekowhai's installation of 'On First Looking into Chapman's Homer' on the corner of Madras Street and Lichfield Street. 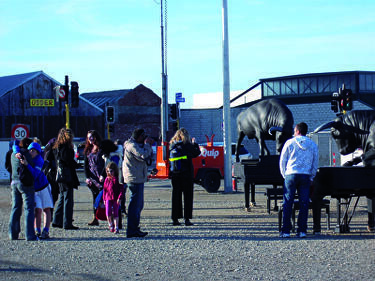 A photograph of artist Michael Parekowhai's installation of 'On First Looking into Chapman's Homer' on the corner of Madras Street and Lichfield Street. 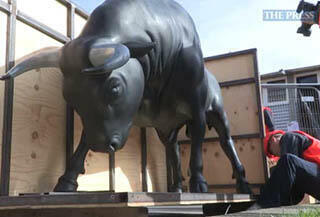 A video of an interview with Sean Duxfield, the exhibitions and collections team leader at the Christchurch Art Gallery, about installing Michael Parekowhai's bull sculpture, 'On First Looking into Chapman's Homer', in the Christchurch Arts Centre market square. The sculpture was installed in secret on a patch of grass. 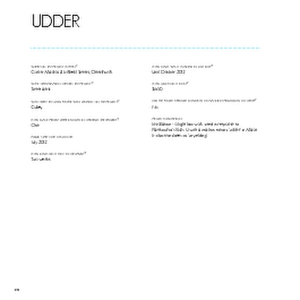 A PDF copy of pages 112-113 of the book Christchurch: The Transitional City Pt IV. 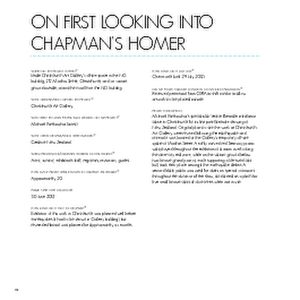 The pages document the transitional project 'On First Looking Into Chapman's Homer'. 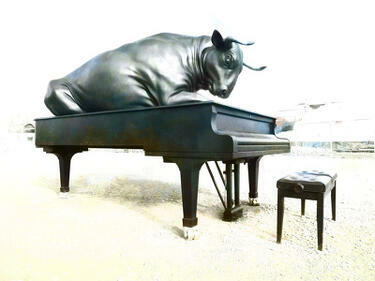 Michael Parekowhai Chapman's Homer 2011. Bronze, stainless steel. Courtesy of the artist, Michael Lett, Auckland. Photo with permission: Christchurch Art Gallery Te Puna o Waiwhetu. Photo: John Collie. 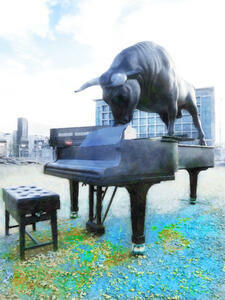 A digitally manipulated image of Michael Parekowhai's scuplture 'On First Looking into Chapman's Homer' on Madras Street. 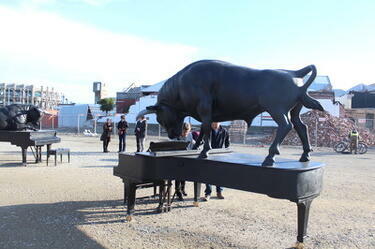 The photographer comments, "One of the two bulls on pianos by Michael Parekowhai called 'On First Looking into Chapman's Homer'. They have been placed on the site of a building that was demolished after earthquake damage.